So true! As a therapist, I often come face to face with this phenomenon. The disparaging mother, the shaming father, the belittling words, the, “If they knew you like I do, they wouldn’t like you,” that echoes in the psyche for decades, if not a lifetime. Which is why, Sonnische, it is so deeply important for parents and caregivers, teachers and coaches, and anyone who has influence on a child’s life–to be aware of the impact of their words and choose empathy, compassion, and kindness over judgement, harsh critic, or frustration-laden comments that may make the adult feel better in the moment (as release of tension) but can wound a child for many years to come. 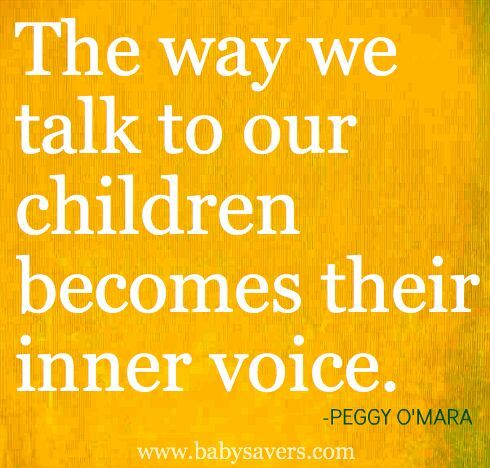 We truly hold a sacred responsibility, whenever we communicate with a child. To cherish rather than squash. To cultivate rather than stilt. To be a model for compassion rather than a model for self-critic and inner judgement.